Gebiomized are now the preferred Bikefit providers for many of the best cyclists and triathletes in the world including the Trek and Cervelo Teams, as well as World Ironman Champion Patrick Lange and Half Ironman Champion Jan Frodeno. Star Physio, utilising our many years of bikefit and physiotherapy experience are trusted by some of the best triathletes and cyclists in the world including the British Cycling Team, Orica Green Edge and AIS and WAIS athletes alike and work closely with our international partners to give our clients the best possible bikefit and cycling physiotherapy. Recently some of the world’s best have benefitted from our new technology and physiotherapy training to optimise their bikefit for performance and injury prevention including World Time Trial Champion and Olympic Silver Medallist Emma Pooley, on her road to Rio in the Olympic Time Trial. Also our local heroes Robert Power and Jai Hindley from the Orica teams and world Time Trial, Oceania Champion and 2017 Australian Criterium Champion Jess Allen trust Star Physio for their Bikefit and physiotherapy treatment needs for performance and injury prevention. We are also very proud to partner Rio Para-Olympian and World Ironman Record Holder Brant Garvey beyond Rio and to his next challenges! 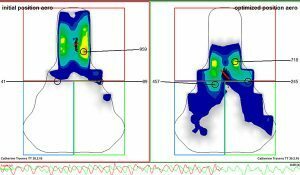 Pressure mapping is the latest tool in the arsenal of Star Physio’s highly-trained cycling analyst physiotherapists to help determine your optimum riding position, saddle selection, shoe and cleat setup. The Gebiomized pressure analysis system gives us information 200x per second, far greater than high speed cameras which accurately assesses position and stability on the bike. As more and more research questions the accuracy and relevance of joint angles in bikefit, pressure analysis is now the “gold class” analysis for optimal bikefit amongst many of the best cyclists and triathletes in the world. 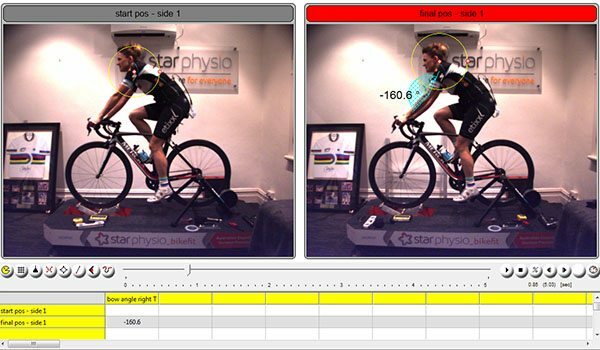 At Star Physio, we’ve observed the development of pressure mapping with interest and have recently formed a technology partnership with GebioMized. We have integrated the GebioMized system into the Star Physio fitting process, enabling us to accurately measure pressure and better visualise the rider’s contact with the saddle and shoes. Combined with our bikefit physiotherapist’s professional knowledge of anatomy, physiology and biomechanics, pressure mapping provides objective feedback, enabling us to make small, precise adjustments and interventions to optimise your connection with the bike and making it possible to maximise your stability and comfort on the saddle, and your foot contact at the pedal. This in turn assists in making you more comfortable to conquer your exercise and health goals, minimise injuries and ease any current pain or injuries you may be suffering from.